The hike up Mount Bierstadt (14,065') is a relatively easy 7 mile round trip. The views of this area in the Pike an Arapaho forests are amazing, as are the landscapes from most of Colorado's 14ers. 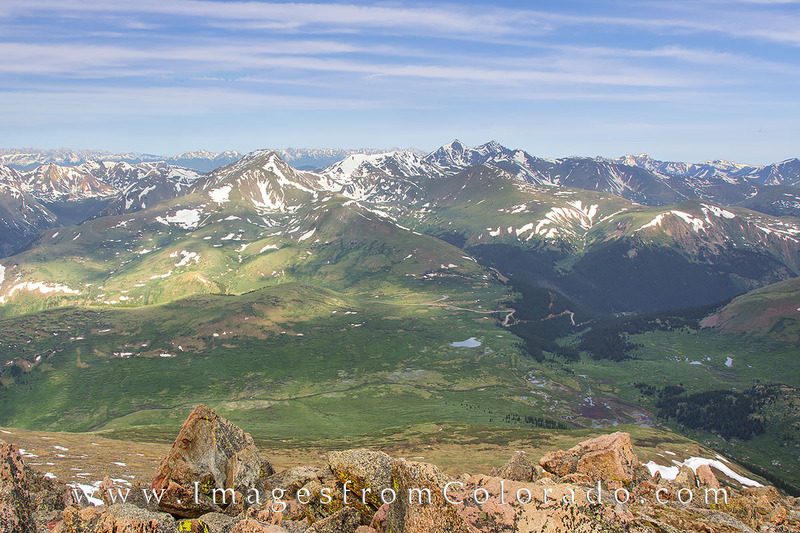 Just across the valley from the summit of Bierstadt, two of Colorado's other 14ers - Grays and Torreys - rise in the distance. Photo © copyright by Rob Greebon.